The Government has abandoned plans to impose a capital gains tax recommended by the Tax Working Group in February. Prime Minister Jacinda Ardern ruled out a capital gains tax under her leadership, saying that no consensus was able to be reached within the Government. While she still believed it would make a difference, she acknowledged that Labour had now campaigned on it for three elections, and it seemed there was a lack of mandate among New Zealanders for the policy. Sir Michael Cullen, who chaired the Tax Working Group, said he was disappointed but “not in the least surprised”. A capital gains tax had been vetoed by Winston Peters, leader of Labour’s coalition partner NZ First, he said. The Tax Working Group recommended a broad-based tax on capital gains from rental homes, second homes, business assets, land and shares, in February. “I always thought there was a high probability that NZ First would veto any legislation,” Cullen said. 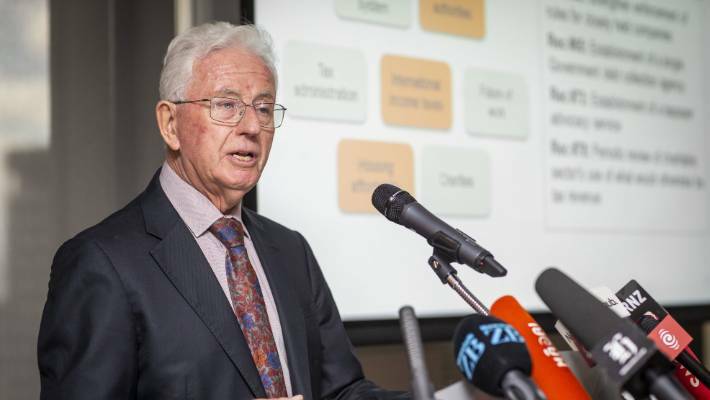 Tax Working Group chairman Sir Michael Cullen has frequently asked the question of why, given other countries broadly tax capital gains, it should be too hard for New Zealand to do the same. Cullen said he believed “the biggest losers” would be Simon Bridges and the National Party. 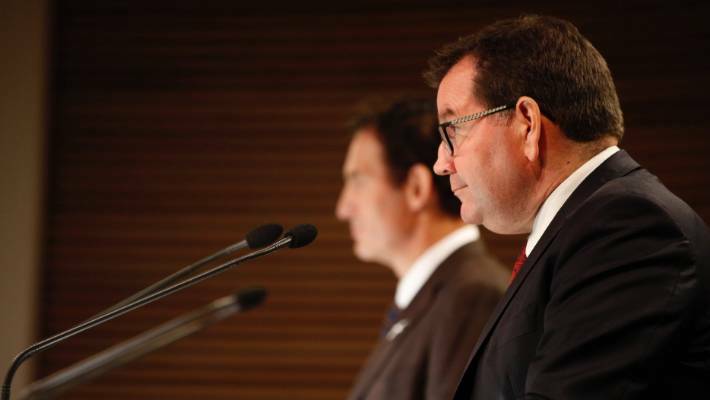 Bridges had forecast the Government would dial the tax back to an additional tax on property investments, in keeping with the recommendations of three members of the TWG who dissented from its consensus recommendation for a broader tax that would also apply to business assets and shares. But Ardern ruled out a capital gains tax under her leadership. The Tax Working Group gave the Government and the country an opportunity to look at the fairness of our tax system and debate options for change,” she said. Anuja Nadkarni asked people on Auckland’s Queen Street if the proposed capital gains tax is fair. “I genuinely believe there are inequities in our tax system that a capital gains tax in some form could have helped to resolve. That’s an argument Labour has made as a party since 2011,” she said. Ardern said there were other steps that could be taken to improve the fairness of the tax system, pointing to steps the Government had taken to “tighten rules around land speculation”. Cullen had said in November that he believed it might be “last chance saloon” for a major change to broaden the tax base. “The problem we have is New Zealanders seem not to want an inheritance tax, or a wealth tax, or a land tax or a capital gains tax but they still want to complain about growing inequality of wealth. “Clearly that is a political position that has to be recognised, but it is not a satisfactory one,” he said. Finance Minister Grant Robertson (right) has been spearheading the Government’s response to the Tax Working Group’s recommendations. Peters welcomed what he described as Cabinet’s decision not to implement more taxes on capital gains. “This decision provides certainty to taxpayers and businesses,” he said. In contrast, Green Party co-leader James Shaw had questioned in February whether the Government deserved to be re-elected if it didn’t implement a CGT. BusinessNZ chief executive Kirk Hope said a CGT would have hit businesses hard, reducing funds available for investment and job growth and increasing their compliance burden. Bridges said the Government had dropped its “flagship tax policy” but still had a range of taxes on the table. “They include a vacant land tax, an agricultural tax and a waste tax,” he said. 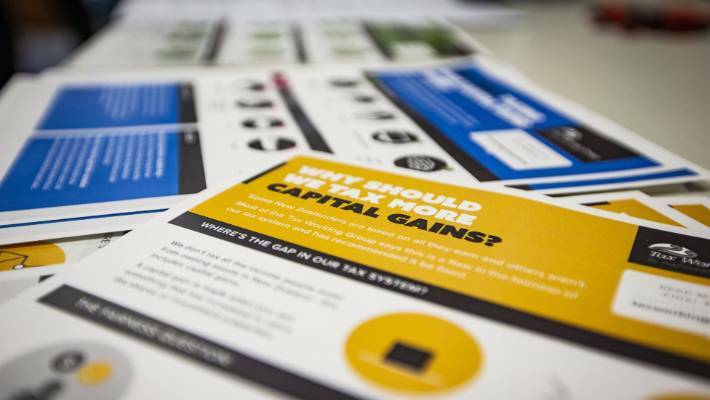 “After 18 months of waiting and a $2 million tax working group, National’s relentless opposition to a capital gains tax has forced the Government to back down,” he said. A capital gains tax has been described as the greatest shake-up in the tax system since GST was introduced in 1986. Next PostNext Bharat 3rd Poster Out: Handsome Salman Khan, Hot Katrina Kaif – Can We Ask For Anything More?